Deciding to end a marriage or relationship is almost always painful. People are coping with emotions ranging from anger, betrayal and disillusionment to frustration, fear and hurt. In Ontario, a separation must precede the actual divorce. A Separation Agreement is a contract signed by the spouses when they decide to separate. It establishes the financial relationship between the spouses as they end their marriage or relationship and covers how your children will be cared for and supported. In the Separation Agreement, a couple outlines the terms of property and asset division, and what to do with a matrimonial home. The matrimonial home has special conditions attached to it under Canadian law. 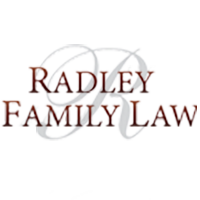 As well, this Agreement may cover custody and access provisions for the children and, if eligible, spousal support. But if you and your spouse cannot agree through negotiating, our lawyers will fight for you in court. Often, people will say their spouse moved out of the matrimonial home months or even years ago and they want a divorce quickly. Ontario requires couples to complete a one-year separation period, which begins the day you begin living as separate individuals even if you continue to share the matrimonial residence. “Apart and separate” means that there is no reasonable chance of you getting back together. The date of separation is critical. Moreover, if a couple reconciles for more than 90 days, they must complete a new one-year separation if they split up again. Although a couple can draft their own Separation Agreement, a family law lawyer is indispensable to ensure that your Separation Agreement meets provincial requirements and protects your rights should your former spouse be unable to meet their obligations. So, while “doing it yourself” might seem like a cost-effective strategy, you could incur costly legal and court fees later because the contract was improperly drafted. You could lose out on a lot of money if income or assets are overlooked. As a result, you could find yourself in a battle later over division of property because the agreement will not hold up in court and therefore not be enforceable. If you and your former spouse are on good terms, and you plan to write your own Agreement, it is still important to consult a separation lawyer to ensure that you are aware of your rights and entitlements. Our team of experienced and knowledgeable separation lawyers also can help review any documents. Our separation and divorce lawyers can also help you draft a clear, comprehensive and enforceable separation agreement. As you embark on this new stage in your life, we will make sure that your rights and those of your children, are protected and you can focus on your future. It’s because we know that family is important to you and me.